Scoring a good lip product that can survive the chaos of a festive party is a thing of beauty. You want something that is long-wearing but comfortable and delivers high pigmentation that doesn’t fade in an unsightly manner with all the food and drinks you’ll be having. 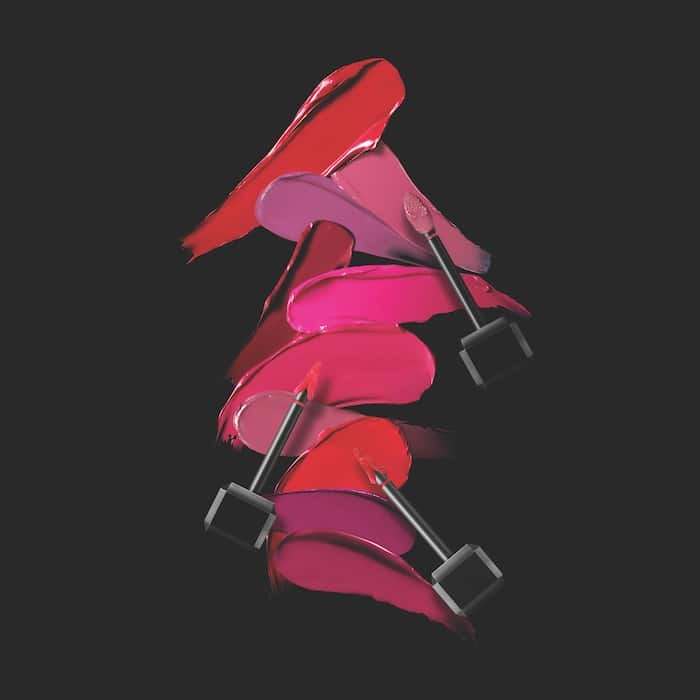 It’s a challenge boldly met by luxury Korean beauty brand HERA, whose reformulated Sensual Lip Tint is one we can safely declare as our favourite lip product for the festive season. HERA muse Gianna Jun flaunting the Sensual Lip Tint. This creamy lip tint is packed full of micro pigments that don’t skimp on colour pay-off at all. One swipe is all it takes to impart a sheer hue that you can build to increase the pigmentation depending on how punchy you want your pout to look. You also don’t have to sacrifice on comfort, no matter how much you layer. The silken formula has an adhesive jelly wax that helps ensure even application and that the colour stays put throughout the day without being sticky or dehydrating — two of the most pressing problems when it comes to long-wearing lip products. The HERA Sensual Tint is available in ten shades spanning pinks, mauves, reds and seductive purples. Each is able to transition effortlessly from day to night, especially with the new cupid tip applicator that allows for you to apply the product two ways, whether it’s a soft gradient that is a signature Korean beauty look, or a really loud burst of colour that makes your lip look the centre of attention. Swatches of the colour range. HERA has also redesigned the packaging for the tint. It now comes in a sophisticated crystal vial with an angular black applicator, making it a sleek vision that’s more than worthy of being a festive gift for the special makeup lover in your life. 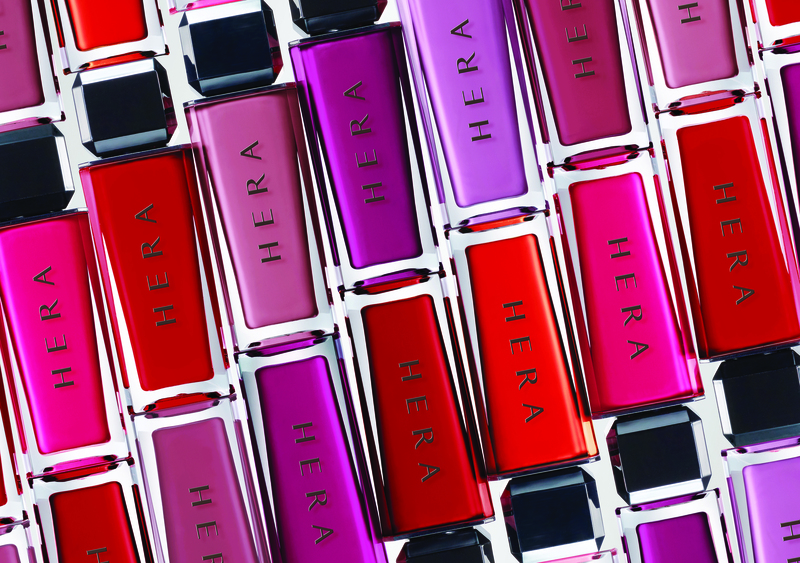 For those who seek the ideal lip product to keep you looking on point through Christmas, New Year’s Eve, and all the champagne you’ll be drinking through the period, HERA’s Sensual Lip Tint is the answer. 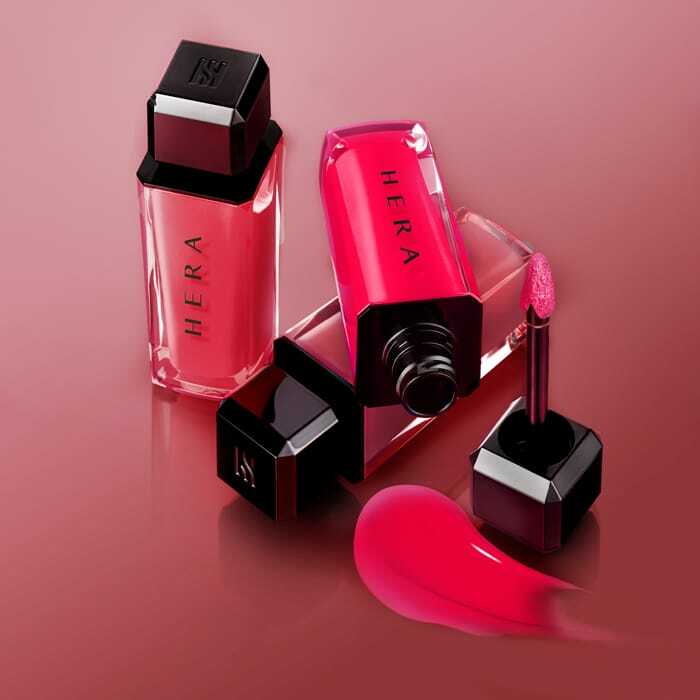 The HERA Sensual Lip Tint is priced at S$43, available at the HERA ION Orchard boutique and Takashimaya Department Store counter.